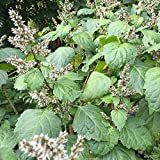 Patchouli plant for sale – Easy plant to grow with edible leaves, mostly grown for the ornamental flowers and for the leaves, planting in spring to autumn, better to plant or another option to start from seeds yet more challenging. Patchouli plant for sale – What need to know before buying Patchouli plant? 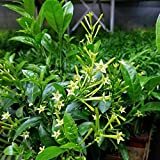 Before buying Patchouli plant need to know that can grow in tropic, subtropical or mediterranean climate, sun exposure that need full sun to half shade, soil rich and moist.